Do you know how to set up your financial goals for success? This knight does. That big list of dreams and goals isn't the only way to look at your bucket list. Here’s a quick guide to checking to see if you have unclaimed money. How does your ideal retirement differ from reality, and what can we do to better align the two? You should be spending time doing the things you love with the people that matter most. Your retirement and the decisions you make today can have a significant impact on your tomorrow. Here at Resource, we help you understand your financial situation by identifying your goals and challenges, then together we create a unique plan to get and keep you focused. We are passionate about education and strongly believe you deserve to be informed about the financial choices in your life. This passion has translated into over thirty six years of educating our local community in financial management. Our team of experienced financial advisors is dedicated to helping you achieve and preserve your financial security. We specialize in wealth management and retirement income planning, offering an array of services that fit your unique situation. Whether you are saving for retirement or are already enjoying it, we strive to provide you with clarity and reduce your financial worries. Securities and investment advisory services offered through Royal Alliance Associates, Inc.[RAA], member FINRA/SIPC and a registered investment advisor. 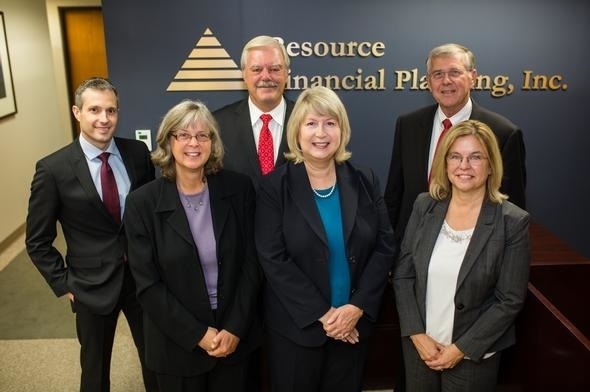 Resource Financial Planning, Inc.[RFP] is not a registered broker/dealer or investment advisor and is separate and independent from RAA. This site may contain links to information contained on third-party websites not affiliated with RAA. These links are provided as a convenience and for informational purposes only. RAA does not endorse or accept responsibility for the content of any third-party website. No offers may be made or accepted from any resident outside the states where a financial advisor is licensed. Please contact the office for details.